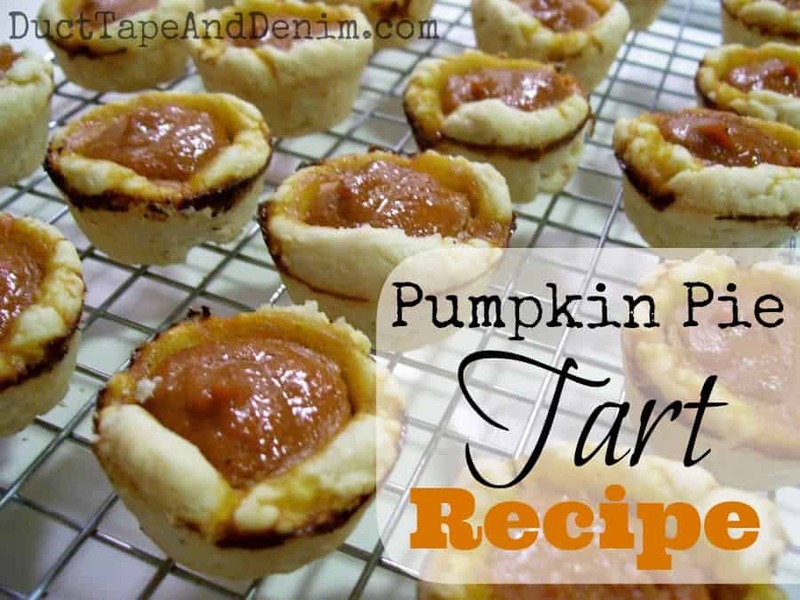 Not quite a cookie, but I usually include some of these pumpkin pie tarts in my cookie plates. They’re quick and easy to make when you’ve baked a pumpkin pie and have some filling left over. The lady that told me how to make these says to use whatever recipe you usually use for crust (for me that’s the box of Pillsbury!) and whatever recipe you usually use for pie filling. If you don’t already have a favorite pie crust recipe I’ve included one below. For the filling we just use the recipe on the can of pumpkin. Lauren made these last week. Mix together the flour & salt. Cut in the shortening until the pieces are the size of small peas. Slowly mix in the water, 1 Tablespoon at a time until all the dough is moistened. Use a small scoop (I use my Pampered Chef) and place a ball of dough in each cup of a mini-muffin pan. Press dough up the sides of the cup. (I use my Pampered Chef tart press for this — it’s something small you can order when you feel like you should order something from someone’s party! lol…) Fill each cup with filling of your choice. Bake for about 20 minutes. Glenn’s leaving and taking my laptop with him so gotta sign off for the day…. Hopefully I’ll be bake tomorrow with another recipe. Hey, you need to sign your own linky! I wonder if those tarts would be good with apricot? I’m going to try this with refrigerator dough… what temp?